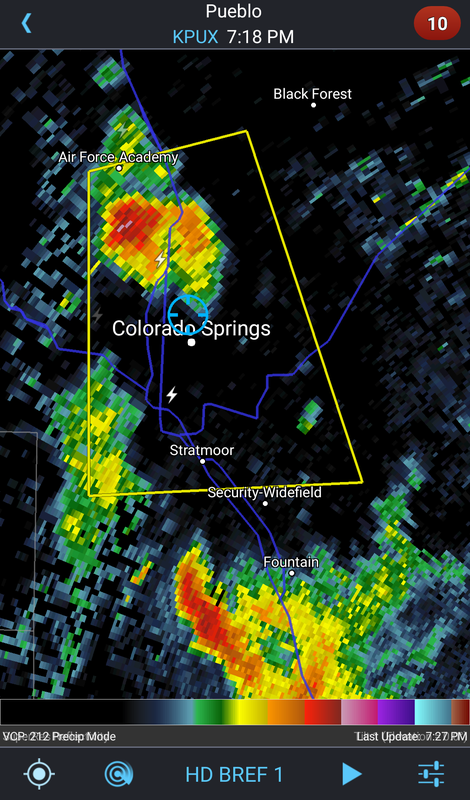 Thunderstorm Warning issued until 8:15pm, includes #UCCS. Quarter size hail is possible, seek shelter indoors until the storm passes. This entry was posted in Uncategorized on June 29, 2015 by tstoeckl. 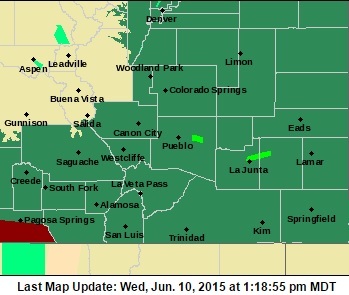 The National Weather Service Pueblo has issued a Flash Flood Warning, including our UCCS campus, until 11:30pm. Campus has received more than 1.25″ of rain in the past hour, and with saturated soils flash flooding is occurring on area roadways. Avoid water-covered roadways and areas of moving water. Stay tuned to local media for further details, and check www.weather.gov/pub for the latest forecast. This entry was posted in Uncategorized on June 16, 2015 by tstoeckl. 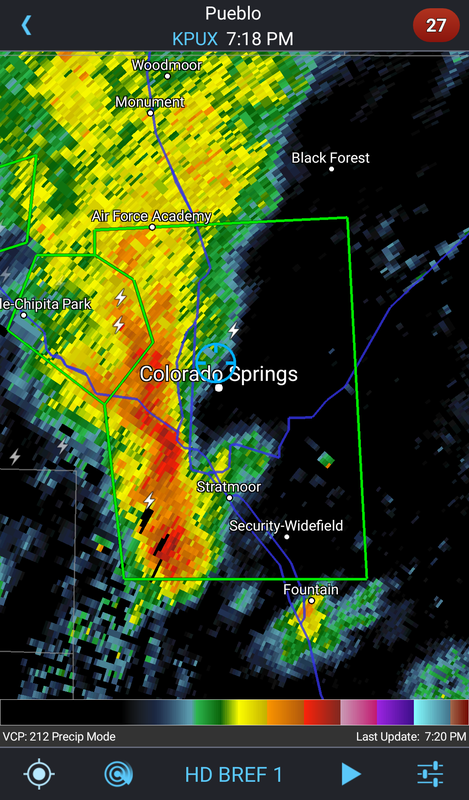 Flash Flood Warning issued until 9:15p, includes #UCCS. Avoid areas of moving water & water-covered roadways. Be prepared to move to higher ground if flash flooding threatens your area. This entry was posted in Uncategorized on June 12, 2015 by tstoeckl. 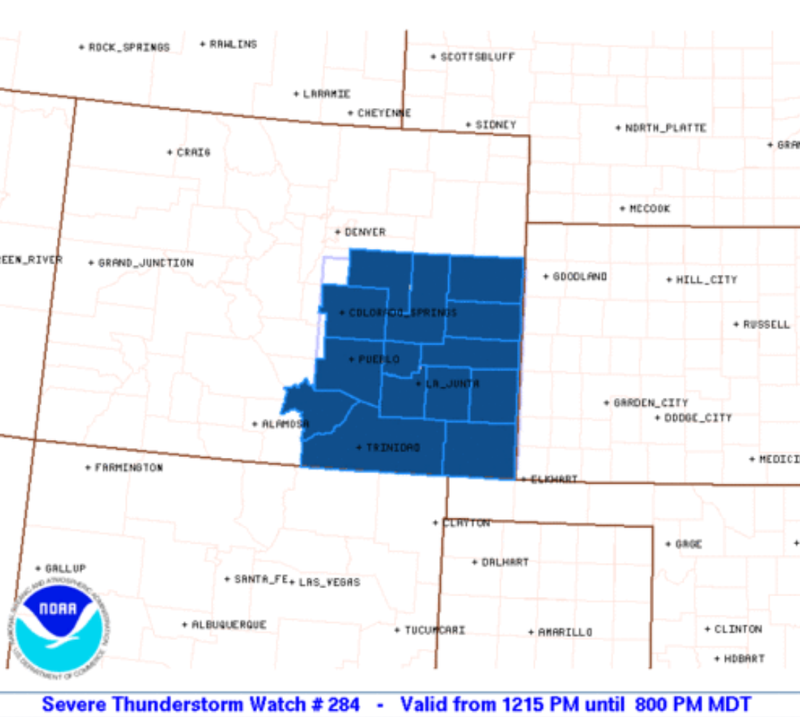 Thunderstorm WATCH issued until 8:00pm MDT, includes our #UCCS campus. Large hail, damaging winds, and an isolated tornado are possible with these storms. Stay alert, and seek shelter indoors if a warning is issued for your area. This entry was posted in Uncategorized on June 11, 2015 by tstoeckl. 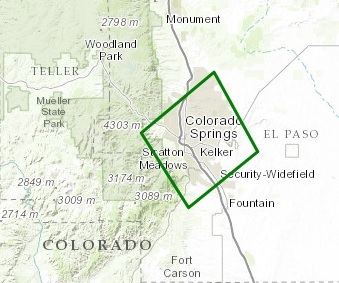 The National Weather Service has issued a Flash Flood Watch for El Paso County, including our UCCS campus, from Thursday (6/11) afternoon through Friday (6/12) evening. Recent rains have saturated area soils, and with moderate to heavy rain forecast the potential for flash flooding exists. Stay tuned to local forecasts, and be aware of changing weather conditions. Be prepared to take quick action should a warning be issued or conditions warrant. This entry was posted in Uncategorized on June 10, 2015 by tstoeckl.